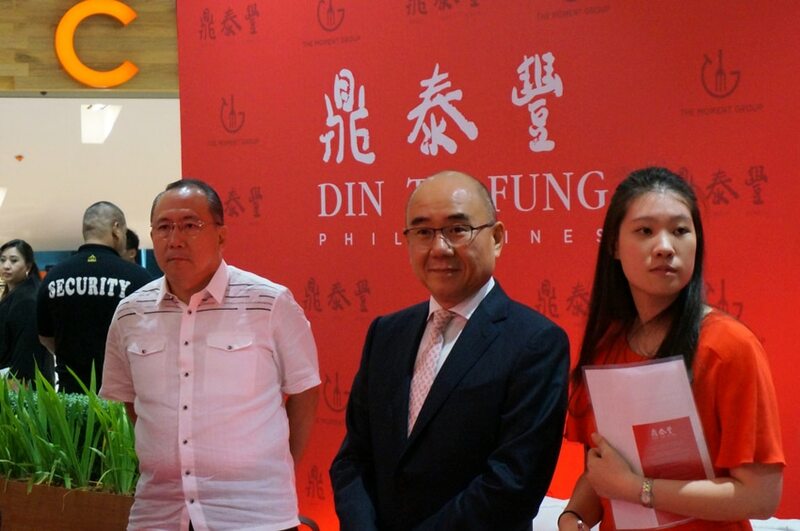 MANILA – No less than President Benigno Aquino III unveiled the first Philippine branch of Din Tai Fung, the Taiwanese chain famous for its xiao long bao or soup dumplings. Mallgoers were surprised as security personnel were stationed in different parts of Mega Fashion Hall in Mandaluyong City on Monday in preparation for the President's arrival at Din Tai Fung, which was brought to the Philippines by The Moment Group of 8 Cuts Burger Blends and Manam fame. Also present at the event were Din Tai Fung’s Warren Yang, SM’s Hans Sy, and staff members from the restaurant in Taiwan. Presidential aspirant Mar Roxas also joined President Aquino shortly after the program. Located just beside another popular restaurant franchise, Tim Ho Wan, Din Tai Fung opened its doors to the public on Tuesday (December 8), with the restaurant offering free baskets of Pork Xiao Long Bao to guests occupying the first 50 tables. View the slideshow to get a glimpse of the grand launch of Din Tai Fung in the Philippines, as well as some of the restaurant’s must-try dishes. Mobile users can view the desktop version of the slideshow here.